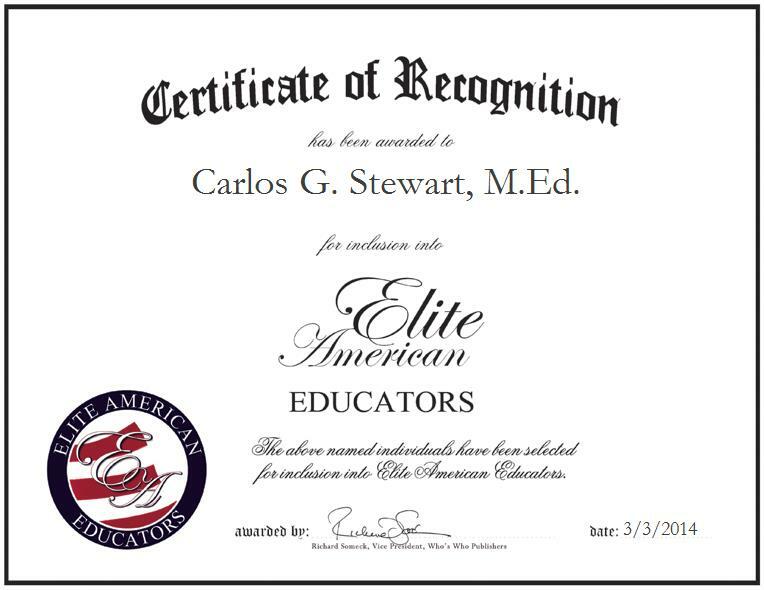 WASHINGTON, DC, March 3, 2014, Carlos G. Stewart, M.Ed., retired Education Program Specialist for the U.S. Department of Education, has been recognized by Elite American Educators for dedication, achievements and leadership in developing educational programs.Inspired by his parents, who were teachers, Mr. Stewart dedicated more than 40 years to the education field. His desire to help others led to his involvement in education administration as he worked to develop strong educational programs for students around the United States. 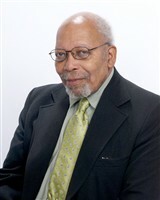 In his former role, Mr. Stewart was responsible for handling marketing, conducting seminars, monitoring and overseeing projects, including upward bound, talent search and educational opportunity centers, helping with funding proposals for title III, and strengthening and developing institutions to improve struggling colleges’ administration and student services. Mr. Stewart was also known for providing technical assistance to students whose parents are disadvantaged and never attained a college degree.Mr. Stewart’s illustrious career spans various industries. He worked in marketing, and spent the majority of his career working in government positions. He served the U.S. Department of the States, and the D.C. Public Housing Agency before focusing his efforts on the country’s education programs. Additionally, he formerly worked part time for Pre-Paid Legal Services, Inc., and Primerica Financial Services. Although retired, Mr. Stewart shares his knowledge and experience by serving as a motivational speaker. Mr. Stewart believes he excelled professionally because he has strong networking skills, a solid education, and extensive experience. Looking toward the future, Mr. Stewart would like to get involved in consulting.Mr. Stewart is originally from Dayton, Ohio and graduated from Dunbar High School (1960) in Dayton, Ohio.